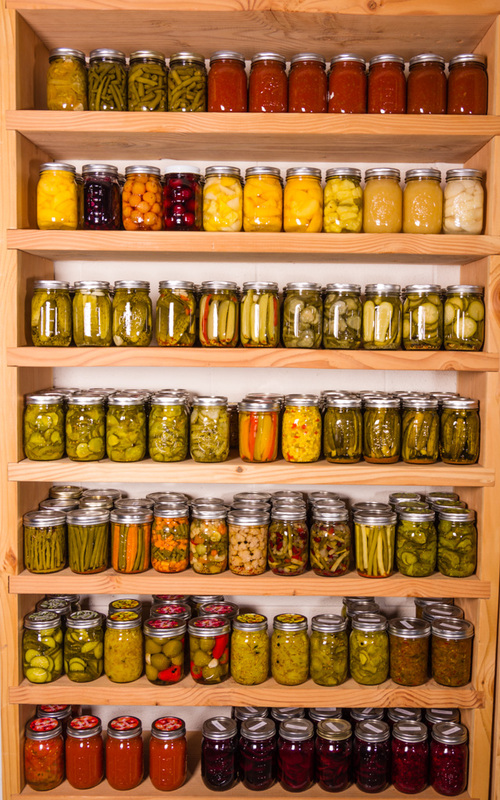 With all the Fresh from Oregon produce coming in I have been busy preserving that fresh taste. I have filled my pantry to have that Fresh from Oregon taste all winter long. And I have been doing my favorite thing of the year, entering the local county fair. Each Saturday for the past 4 weeks I have been going to the farmer’s markets which are just overflowing with fresh produce. I then spend the next few days turning all that fresh produce into works of art. I have pickled beans, asparagus, carrots, peppers and beets. I turned little pickling cucumbers into Bread & Butter pickles, sweet slicers and garlic dills. I have made Fresh from Oregon fruits like peaches, blueberries and cherries into pie filling. Colorful jars of peaches, pears, fruit cocktail, blueberries and cherries line my shelves. I have jars with diced tomatoes and tomato sauce that are waiting for me to open during that winter snow storm and become that big pot of chili. 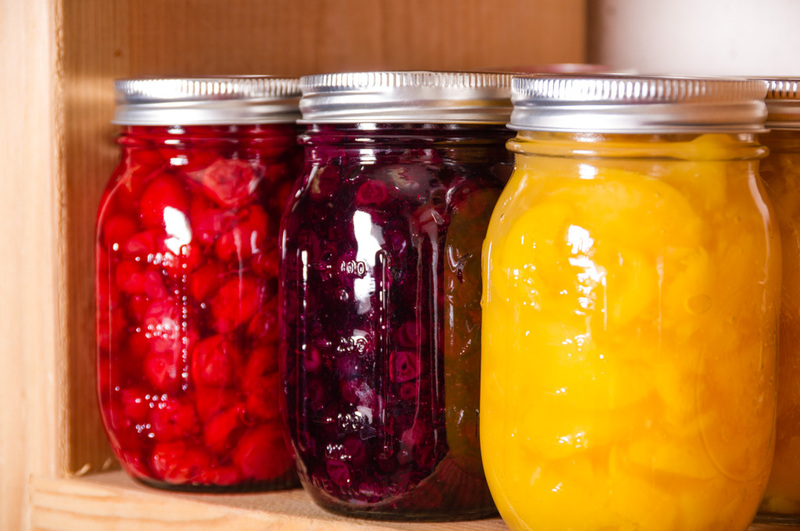 No pantry would be complete without jars of jellies, jams and conserves. My family enjoys this fresh from Oregon taste all year long and I enjoy giving jars as gifts to family and friends. August and September are two great months to preserve the summer harvest for you to enjoy when things are not fresh in season. 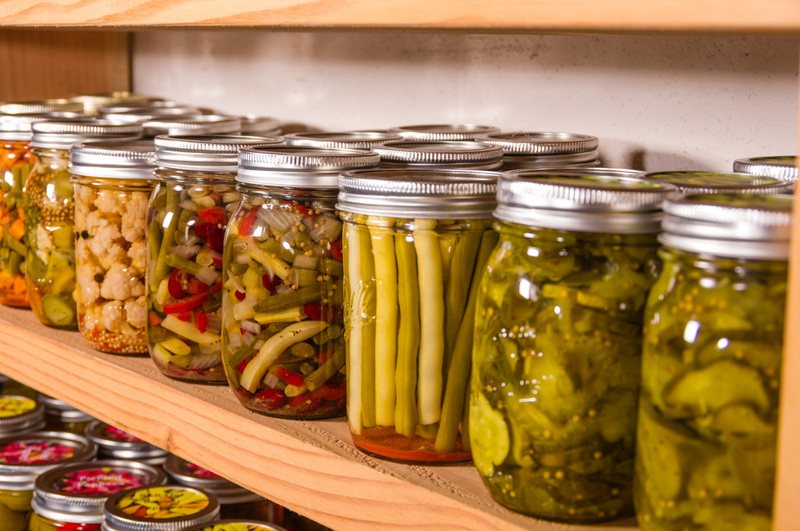 I will be sharing some of my easy and favorite canned good recipes in the upcoming weeks. In a stockpot bring water, vinegar and salt to a boil; boil for 10 minutes. 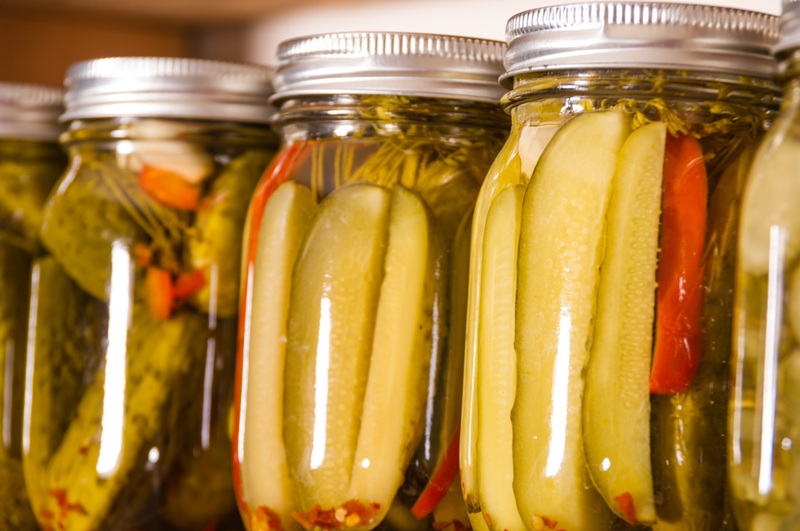 Pack pickling cucumbers in pint or quart jars to within 1/2″ to top. 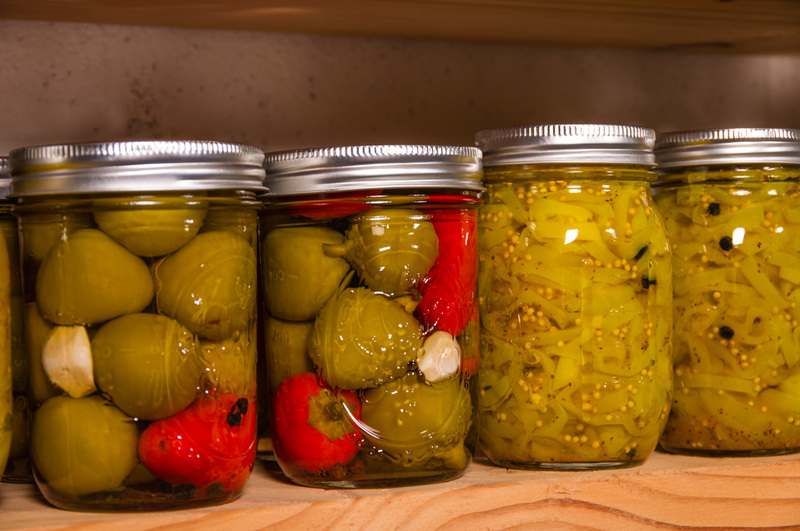 Place one dill head, two garlic cloves and two peppers in each jar. Carefully ladle hot mixture over cucumbers in the jar leaving 1/2 inch headspace. Remove any air bubbles, wipe rim and place on a lid and ring and finger tight. Process for 15 minutes in a boiling-water canner. Remove from canner and sit on a towel for 24 hours. To check to see if they are sealed press the ring and if you hear no click they are ready to place on your shelf. To get the best flavor do not open for at least 6 weeks. Store in a cool place and do not store in direct light. 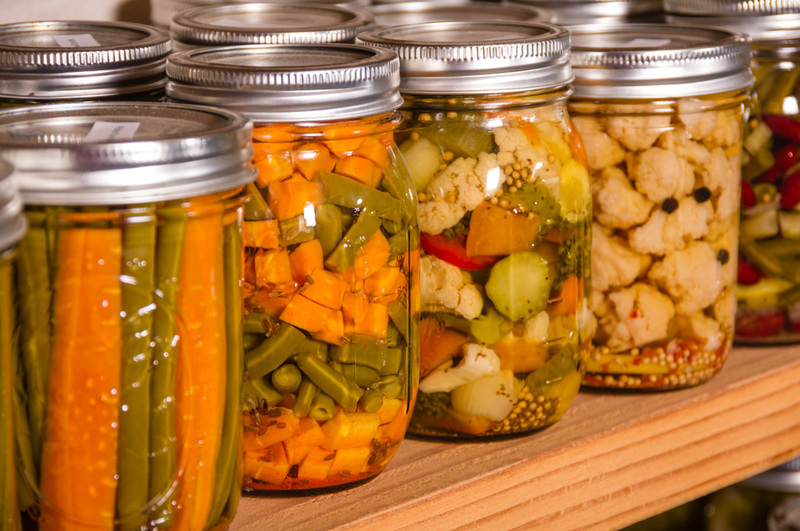 If you have any jars that did not seal place in your refrigerator and enjoy in six weeks. I learned to can by reading the Ball Blue book and would recommend it for any beginner canner. My Fresh from Oregon Pantry of vegetables and fruits! Wow. Behold the cans. This is so impressive. Are you from Pittsburgh, so I am! Both me and my husband were born and raised south of Pittsburgh and moved to Oregon 8 years ago. Yes! I live here in Pittsburgh. I’m originally from FL. It’s great here. Me and my family love it here. It’s a great place to have a family. 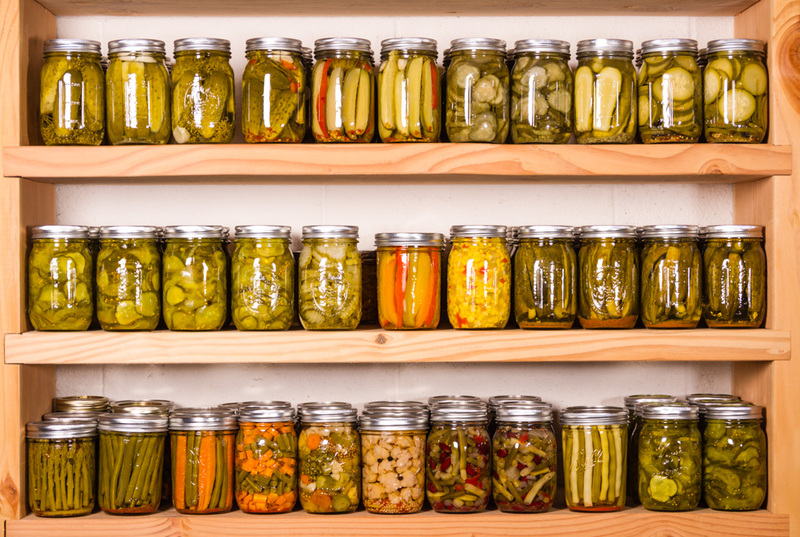 How many jars does your pickle recipe make on average? And do you only water bath can or do you also pressure can veggies? Very impressed with your pantry stock. 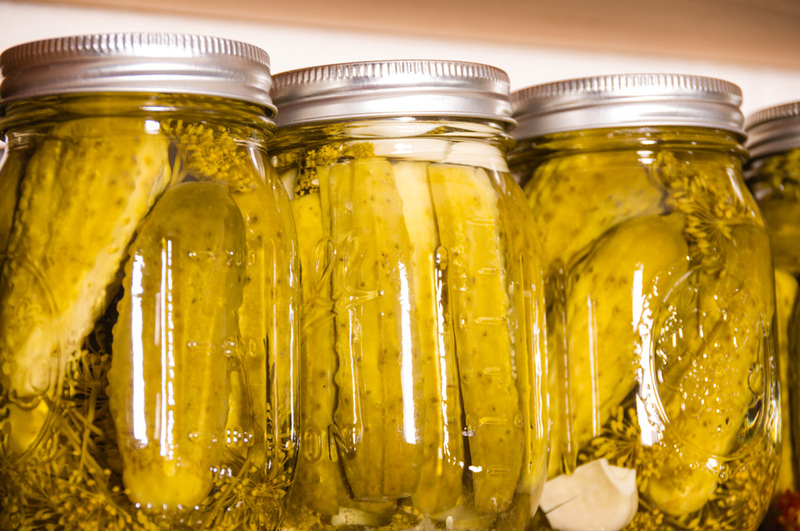 The recipe makes 9 pint jars or 4 quart jars. This is my husbands grandma’s recipe and I have been making for 35 years.